The oddly intuitive Snipperclips title will be releasing on time for the Nintendo Switch launch. Revealed via press release, you’ll be able to get funky with your friends starting March 3rd. Even if you don’t have anyone to play with at the moment, you could always go solo in the World Mode. Snipperclips – Cut it out, together! will be available to download from the Nintendo e-Shop for the price of $19.99/€19.99. Unsure of picking up this game? There will also be a demo for you to try out beginning March 3rd. Snipperclips – Cut it out, together!, a cooperative puzzle game that encourages players to communicate and think creatively to overcome various brain-teasing challenges. Since its debut, the game has generated positive word-of-mouth from both fans and critics alike. Well … the wait for the game will not be long at all, as Snipperclips – Cut it out, together! will be a launch game for the Nintendo Switch system on March 3. Available exclusively in Nintendo eShop on Nintendo Switch for $19.99, the charming game features three main game modes. Grab a friend or go it alone in World mode, or invite some more friends who can make the cut and play Party mode or the fast-paced Blitz mode with two to four players*. A free demo for the game can also be downloaded from Nintendo eShop on Nintendo Switch on March 3. 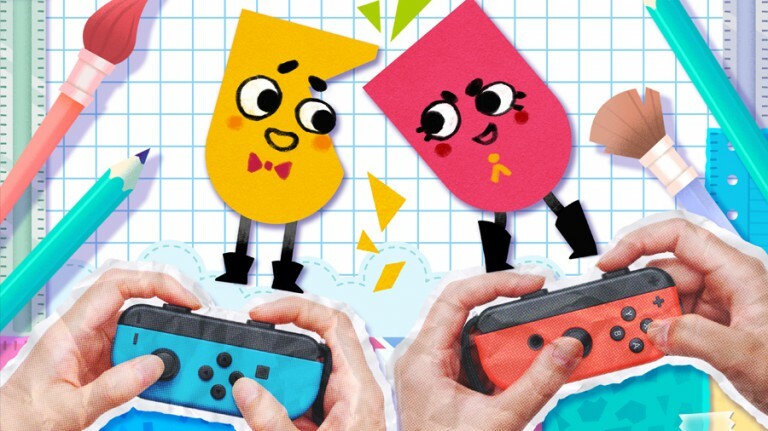 For more information about Snipperclips – Cut it out, together!, visit http://www.nintendo.com/games/detail/snipperclips-switch. We hope you have fun with the game when it launches next week!